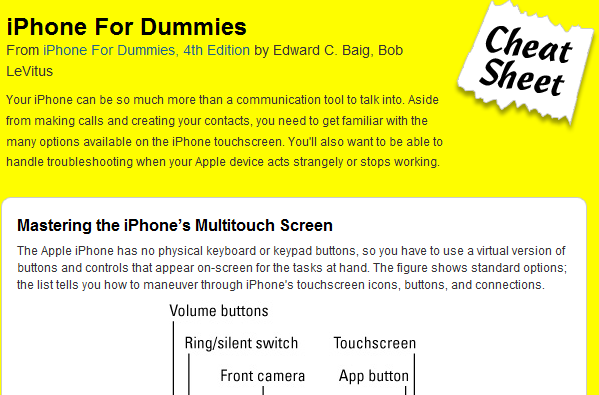 iPhone for dummies cheat sheet: if you have never used an iPhone or seen one in the past, this cheat sheets could help you get started with your phone and save yourself some time. 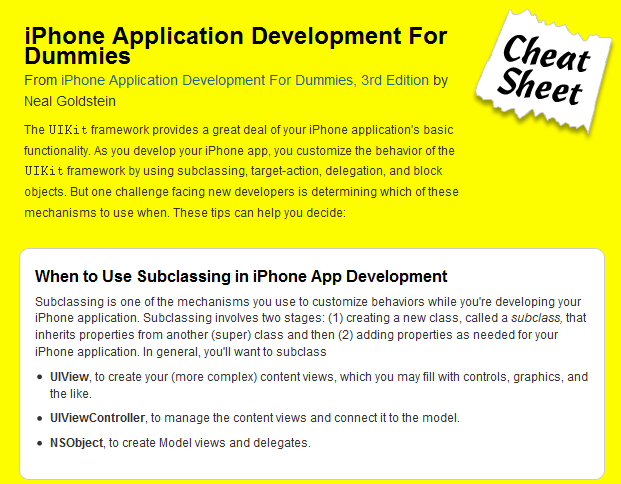 iPhone Application Development For Dummies: it shows you how to take advantage of subclassing, target-action, delegation, and block objects. 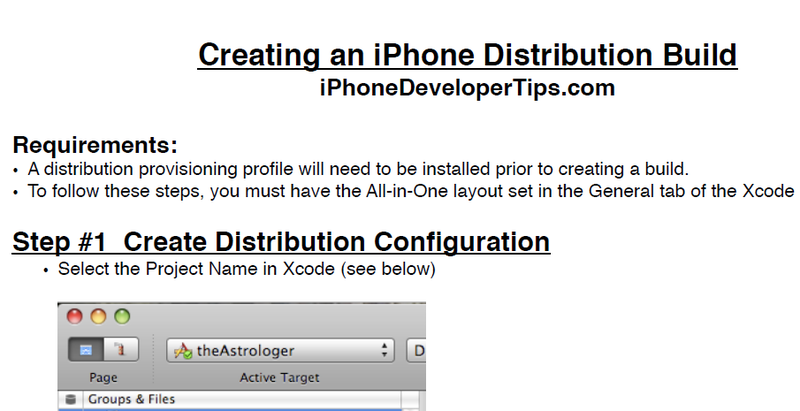 iPhone distribution build cheat sheet: teaches you how to create your distribution build for iOS App Store. 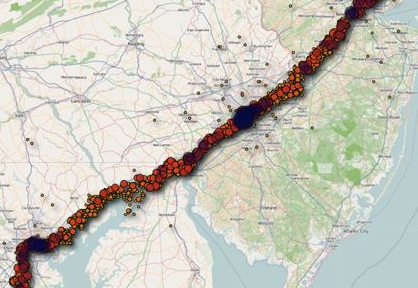 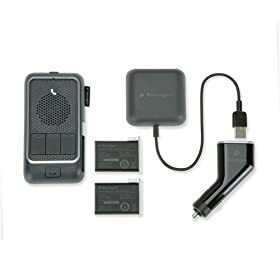 It can save you some time when it is time for you to bring your app to the market. 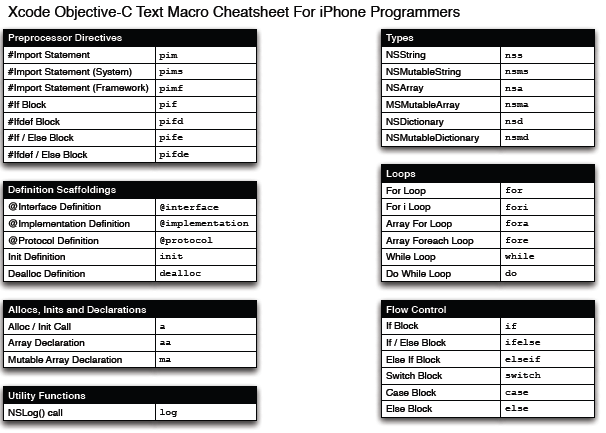 Xcode Objective-C Text Macro Cheatsheet: a handy cheat sheet by Mobile Orchard that shows you how to tackle Xcode macro directives. 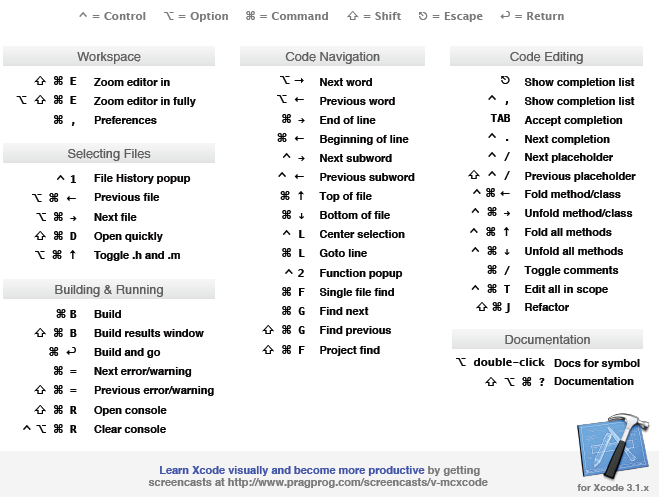 Xcode shortcuts: the folks at Pragmatic Studio have put together a very helpful cheat sheet to help you get your work done faster using Xcode. 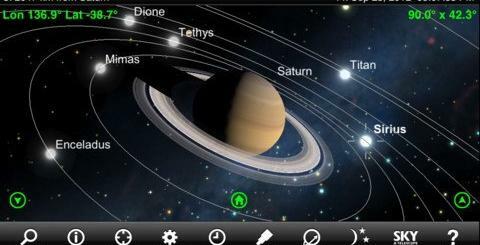 Please add your favorite iPhone cheat sheet below.